After a brief hiatus from posting here at Riviera Kitchen due to our trip to the big apple, we are back in our home territory. We wanted to share some good news for Monaco residents, with a few new restaurants and a surprising local product. Monaco is not a country generally known for growing anything, long gone are the olive groves that once covered the Condamine neighborhood. 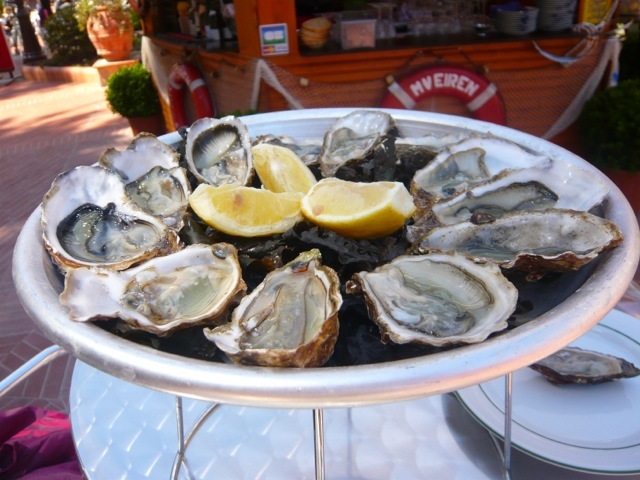 That all changed recently with the introduction of local oysters “perles de Monte-Carlo” that are grown on the outside edge of the Fontvieille harbor. We were introduced to them at two new Monegasque establishments, Le Bouchon, a real Parisian bistro created by local restaurant superstar Riccardo Giraudi, and at L’Ostrega de Mùnegu, a quaint kiosk we visited just the other day. 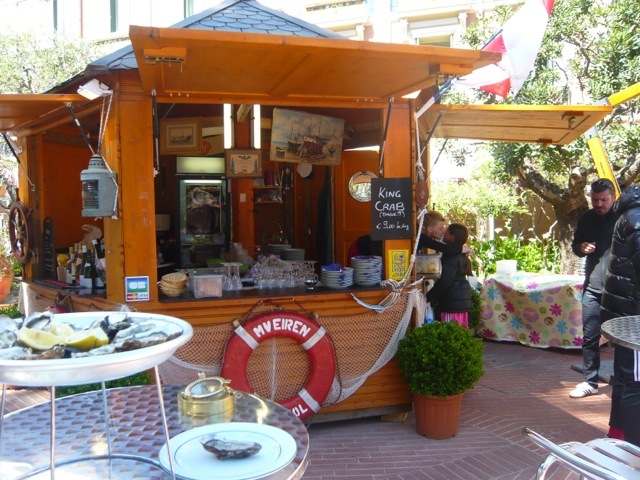 L’Ostrega de Mùnegu (monegasque for “the oyster of monaco”) is strategically located on the place de La Condamine, on the edge of the market. His Serene Highness, Prince Albert II of Monaco asked some friends to open a place where he and his biking buddies could stop to eat oysters and sip champagne. 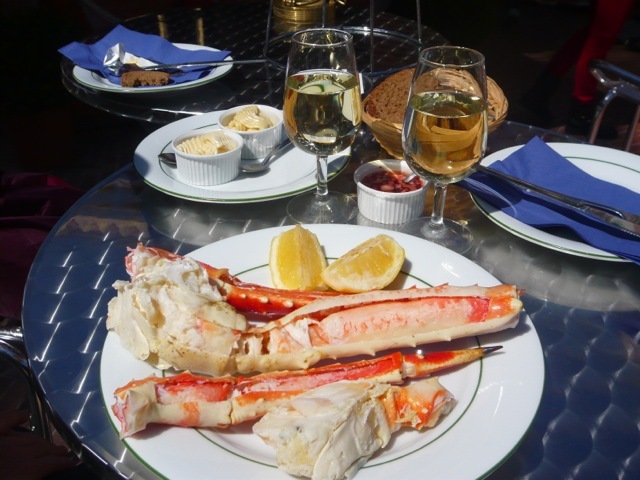 We also tried some awesome king crab legs (I know, from Alaska, not local) which were nevertheless nothing short of breathtaking in flavor and freshness. In addition to oysters and crab, the kiosk offers an impressive assortment of shellfish, lobsters, shrimp and large “plateaux” that include all of the above. I love oysters, particularly “spéciales” from Normandy which we eat every Sunday. We’re in Blois at the moment – no “spéciales” but managed to find some very tasty n° 1 fines de clairs. I’m a friend of Janet’s, by the way, and a close neighbour in Paris. that sounds amazing. do you find there are still seasons to eat oysters? i have heard that nowadays we can eat oysters any month of the year.